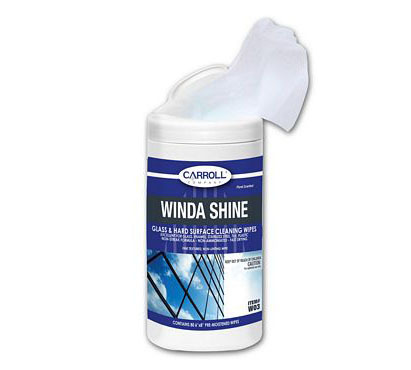 Clean glass and other hard surfaces with these industrial strength disposable wipes. The lint free wipe is pre-moistened with a special ammonia free formula to clean without streaking and leaves no residue. Easily remove fingerprints, smoke film, dirt, and smudges on windows, mirrors, walls, plastic, countertops, cabinets, partitions, light fixtures, appliances, metal, porcelain, sinks, desks, tile, and whiteboards. Six boxes of 80 wipes.